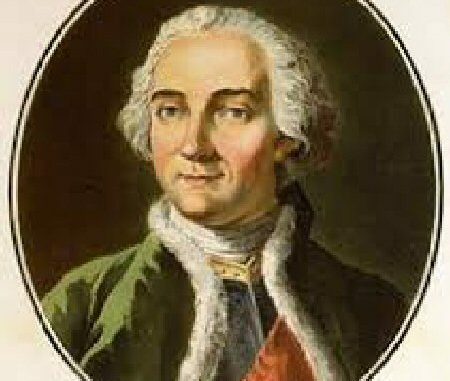 Richard Weyhing, Ph.D., will present his original program “The Marquis de Montcalm and the ‘Honors of War’ in Europe and North America” at the conference. He explores the remarkable military career of the French victor of the Battle of Oswego (1756), Fort William Henry (1757), and Fort Carillon (1758) in Europe before he came to America in the doomed effort to save New France. 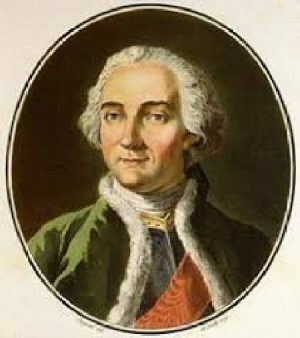 Portrait of Major-General Louis-Joseph de Montcalm, French commander of military forces in New France from 1756 to 1759. 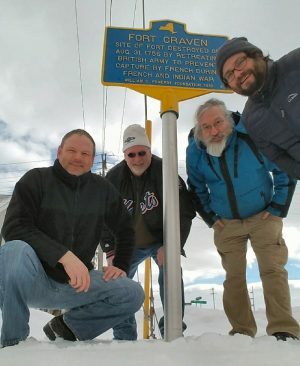 OSWEGO – The annual Fort Ontario Conference on History and Archaeology will be held at the Lake Ontario Event and Conference Center, 26 E. First St., in Oswego, Saturday and Sunday, March 30 and 31. This conference explores new perspectives on warfare and human conflict in North America from its first appearance in the archaeological record around 5000 BCE to the Global War on Terror. A bus tour will take riders to sites of French and Indian War forts and activity from Oswego to Rome, N.Y. on Sunday, March 31. It will be guided by (from left) historians Arthur L. Simmons III of the Rome Historical Society and Friends of Fort Stanwix National Monument; Fort Ontario State Historic Site Manager Paul Lear; George A. Bray III of Rochester; and Richard Weyhing Ph.D., assistant professor of history at SUNY Oswego. Saturday’s program features illustrated presentations by historians and archaeologists at the conference center, located at the north end of the Best Western Hotel. On Sunday, there will be a guided bus trip to sites of French and Indian War forts from Oswego to Rome, N.Y.
AmeriCorps staffer and historian Corey S. King will speak first on the “History of the Fort Ontario Post Cemetery” at 8:30 a.m. on Saturday. His presentation highlights the results of his own and other staff research into past cemeteries at Fort Ontario, including the lives, deaths, and circumstances of the people buried in the current Post Cemetery. He will also describe the desperate struggle to stop the bodies from being relocated after the post was decommissioned in 1946. Copies of King’s new book on the Post Cemetery will be available for sale for the first time at the conference. 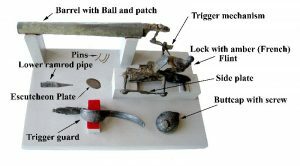 A DISPLAY OF ARMS – A flintlock pistol excavated by L. Paul Beers at the site of the Pork Barrel Battle in 1813 on Cranberry Creek will be displayed at the conference on Saturday, March 30. Beers will speak on the battle and exhibit a large number of other artifacts recovered from the site as well. Archaeologist L. Paul Beers will follow King with “Fort Pork Barrel, the Battle of Cranberry Creek, 1813,” which describes the results of his excavations at the site of the July 13, 1813 ambush of British troops sent to recapture supplies confiscated earlier by an American raiding party on the St. Lawrence River. Beers will also exhibit artifacts recovered from the site. Lt. Colonel Richard Barbuto, Ph.D., a 23-year veteran of the U.S. Army and retired deputy director of military history at the U.S. Army Command and General Staff College at Fort Leavenworth, will speak next about the American home front in western New York during the War of 1812. His talk, “December 1813; the Burning of the Niagara Frontier,” addresses the violence brought to American homes during retaliatory British raids along the 37-mile long Niagara River in December 1813. This preclude to the British offensive of the spring of 1814 created terror in the minds of villagers who feared similar destruction and devastation of private property when the Royal Navy appeared off Oswego on May 5, 1814. Battlefield Archaeologist Adrian Mandzy, Ph.D., assistant professor of history at Morehead State University at Lexington, Kentucky, will present “Bullets and Battlefield Debris: What Battlefield Archaeology Has Taught Us About the Battle of Blue Licks (1782) and the Battle of the Crater (1864),” based on his research and excavations. The Battle of Blue Licks was fought by Loyalists and native warriors against the colonial militia in east central Kentucky on August 19, 1782, and resulted in the deaths of 77 militia members including Daniel Boone’s son, Israel, and Col. John Todd, the great uncle of Mary Todd Lincoln. Fought on July 30, 1864, the Battle of the Crater was one of the most important military engagements of the American Civil War and involved an ambitious Union Army plan to break the Confederate defenses surrounding the city of Petersburg by blowing up a mine and launching IX Corp through the resulting gap. Much has been written about the disastrous assault and following slaughter of African-American troops, but Mandzy’s team was able to demonstrate the true extent of the Union Army advance and gather a variety of sources to provide the first comprehensive understanding of the engagement. Richard Weyhing, Ph.D., assistant professor of history at SUNY Oswego, delivers a compelling new illustrated presentation on Major-General Louis-Joseph de Montcalm, the French victor of the Battle of Oswego (1756), Fort William Henry (1757) and Fort Carillon (1758), during the French and Indian War. In “The Marquis de Montcalm and the ‘Honors of War’ in Europe and North America,” Weyhing explores the great general’s distinguished career during the wars of Polish and Austrian succession in Europe (1733 to 1738 and 1740 to 1748), prior to accepting command over the King’s forces in New France in 1756. During these conflicts, Montcalm served in several major engagements, suffered multiple wounds, survived captivity as a POW, and was made a knight of the Order of Louis. Weyhing will discuss how Montcalm’s earlier experiences shaped his behavior later as a commander in North America, where he tried to uphold prevailing European ideals of military “honor” that often clashed with the values of longstanding colonial and Native American cultures of war. During the French and Indian War (1754-1763) Oswego was an important trans-shipment point for British ordnance, foodstuffs, stores, and troops participating in campaigns against New France. Except for the Oneida Carrying Place, a four-mile stretch near modern-day Rome, N.Y., bateaux (boats) loaded with cargo could travel mostly by water from Schenectady through the Great Lakes. He will explore herculean British efforts to clear and establish a supply route between Schenectady and Oswego, from the first fortifications constructed at the Oneida Carrying Place, to their destruction and replacement. Simmons will also discuss French efforts to disrupt the British supply route to Oswego, such as their attack and subsequent destruction of Fort Bull on March 17, 1756, and the massacre of the garrison. On Sunday, building on his presentation of the day before, Simmons will join historians Dr. Richard Weyhing of the SUNY Oswego History Department, George A. Bray III of Rochester, and Fort Ontario State Historic Site Manager Paul Lear to lead a bus tour of forts and sites of French and Indian War activity and battles from Oswego to Rome, with special emphasis on the Oneida Carrying Place. Lunch will be provided at Eddie’s Restaurant in Sylvan Beach, near the site of the 1759 Royal Blockhouse at the east end of Oneida Lake. The bus tour departs promptly at 8:30 a.m. from the Lake Ontario Event and Conference Center and returns around 5 p.m. Participants are encouraged to dress appropriate to the weather and wear shoes or boots suitable for sloppy conditions, as some walking is involved. Seating is limited to 64 people. Registration $35 each for Saturday’s conference and Sunday’s bus tour. The student rate is $25 for Saturday and $35 for Sunday. Payment may be made on the Friends of Fort Ontario web site at www.historicfortontario.com. Updates on the conference will be posted on the Friends of Fort Ontario Facebook page at https://www.facebook.com/FortOntario/?rf=188327037864824. New York State Parks generates $1.9 billion in economic activity and supports 20,000 jobs. 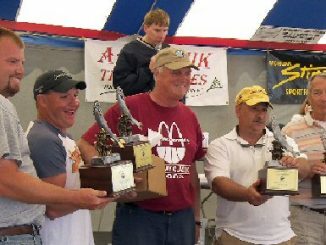 For more information on any of these recreation areas call 315-474-0456 or visit www.nysparks.com, connect on Facebook, or follow on Twitter.